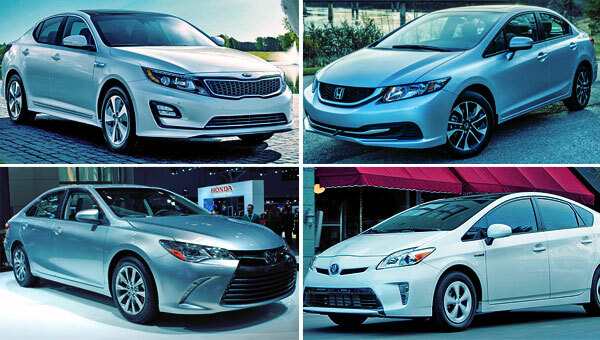 Most Efficient New Cars. 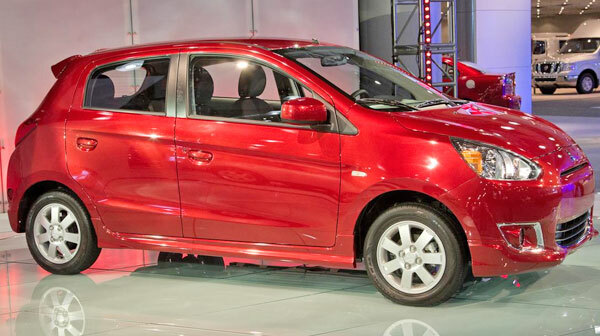 The Mitsubishi Mirage is the cheapest one among the most economical new cars for this 2015. You can buy it for less than $13,000 dollars. The automotive industry news can surprise us every day. Sometimes you can find reports of vehicles coming out to the market with exuberant engines and power levels never seen before. In other opportunities, we are aware of the importance that models with efficiency features have for the industry in general. Usually, this last category draws the attention of most people in need of buying a car. That's why we are going to show you, along with a brief introduction, the most efficient and economical vehicles available in the US market, starting from the cheapest to the most expensive one. The Japanese manufacturer created this little car with aerodynamic lines and high levels of fuel efficiency. This is one of the cheapest on the market. The Mirage 2015 is equipped standard with automatic climate control, keyless entry, seven airbags and power door locks and windows. As for the mechanical part, it comes composed of a gasoline 1.2L DOHC MIVEC 3-cylinder engine that develops up to 74-HP. It is also available with five-speed manual transmission or an automatic continuously variable (CVT). 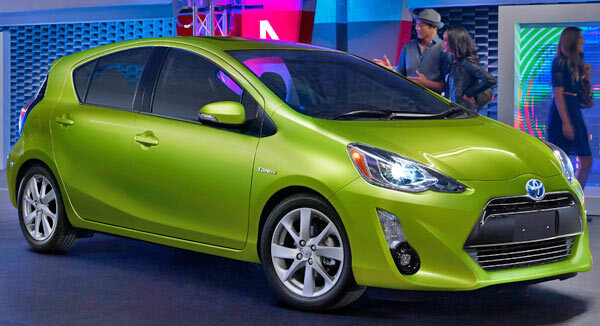 The Prius C is here to share the billboard of efficient cars of the brand, along with all the versions of the model. This hatchback of 13ft. long and low height, takes advantage over its competitors thanks to its aerodynamics, interior dimensions and the spacious trunk. The Hybrid Synergy Drive system is in charge of the 1.5L 4-cylinder gasoline engine which produces an output of 100-hp. The model of the Japanese brand continues leading the market trend. 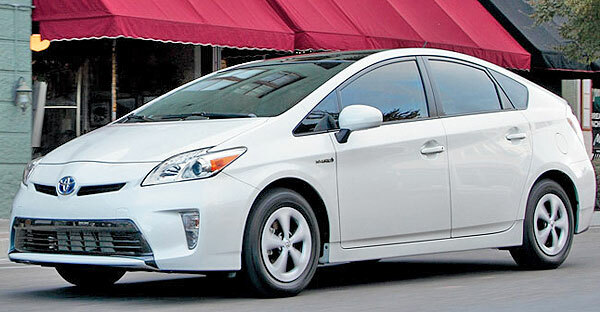 The excellent comfort of its ride, combined with high levels of safety, and the reliability of its mechanics, make of the Prius an undisputed leader of the segment. With respect to the mechanical side, the vehicle has a 1.8L gasoline engine complemented by an electric one. Both, working together, develop around 134-HP along with a continuously variable automatic transmission. Meanwhile, the Prius offers four driving modes called "Normal" (electric and conventional impeller), "EV" (electric drive only), "ECO" (Economic) and "Power" (when the car requires more potency). As historic as functional. 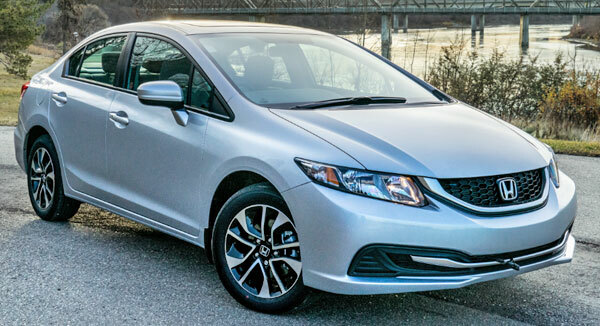 The Honda Civic has earned loyal customers over the years, thanks to the great comfort of its ride, and the excellent reliability and efficiency of its engine. To further enhance this last point, has been incorporated the Eco Assist, a tool composed for a monitoring bar, located on either side of the speedometer, which change from blue to green depending on the driving efficiency, and the ECON button that automatically adjusts the fuel consumption systems. The heart of the Civic Hybrid has the Integrated Motor Assist (IMA), which combines a 1.5L 4-cylinder i-VTEC gasoline engine with an electric one. While the base impeller provides sufficient performance, under certain conditions, the electric motor can boost the vehicle by its own means. Together, they produce 110-hp at 5500 rpm. 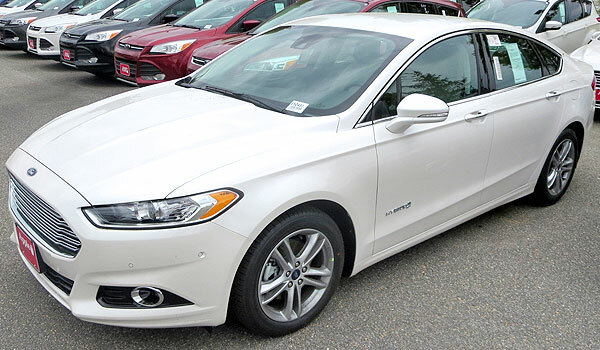 Ford has shown significant changes in the latest generation of the Fusion. Its exterior lines are completely new and the interior has high-quality materials with a unique design and enough room to seat up to five passengers comfortably. Its Atkinson 2.0L I-4 gasoline engine achieves a combined output of 188-HP and an excellent hybrid performance. To help you drive more efficiently, SmartGauge with EcoGuide works as a smart guide by offering driving directions in real time through the central screens located on both sides of the speedometer. 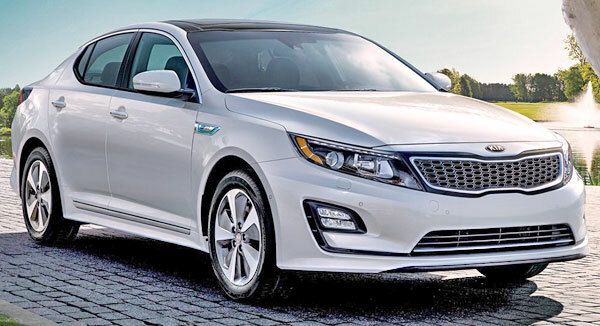 This small economical sedan continues with the transformation of the exterior design of Kia vehicles, revealing a completely new language that stands out for its dynamic and streamlined outline. According to Kia representatives, this model offers an interior with great level of amenities that sets it apart from its competitors. This vehicle achieves its excellent fuel consumption levels thanks to the combination of an electric motor of 35 kWh along with another 2.4L 4-cylinder gasoline engine. This union works with a six-speed automatic transmission that develops 199-HP and 235 lb-ft of torque. 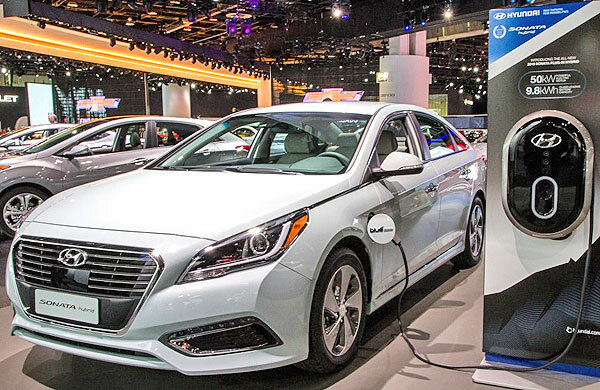 With the release of the Sonata Hybrid, Hyundai expanded the road towards efficient cars. For aesthetic reasons, differs from the previous generation by being more extensive in length (1.3 in. ), wider (1.2 in. ), and also has a longer wheelbase (0.4 in). Its hallmarks are the front grille with a different dithering, blue color details, side appliques and chrome alloy wheels with another design. The mechanical assembly is equipped with a 2.0L engine of 159-HP, combined with an electric one of 47 kWh. This system is coupled to a six-speed automatic transmission. Keeping the style and outlines of the model, the 2015 Camry has an improved aerodynamic and a more aggressive style. At the interior, which was redesigned with high-quality materials, is one of the largest and most comfortable in the segment. 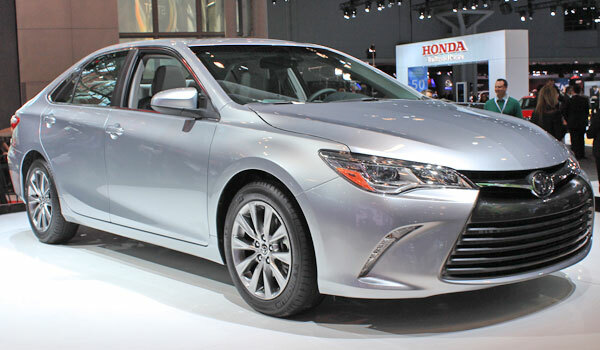 This midsize sedan from Toyota, besides being one of the best selling cars in the country, has great fuel efficiency due to the electronic control system with no mechanical connections between the engine, pedals and the transmission (Hybrid Synergy Drive). The base model features a 2.5L 4-cylinder engine with an electric one which reach up to 200-HP. Its CVT (continuously variable transmission) provides power to the front wheels. The new generation, which was developed on the Focus III platform, stands out for offering a comfortable ride and roomy interior. The interior characteristics of this Ford C-Max, help to optimize the comfort of passengers as well as having a great versatility in the cargo space thanks to the folding rear seats. Its motorization combines an Atkinson 2.0L I-4 and an electric engine powered by a lithium-ion battery capable of storing up to 7.6 kWh of energy. 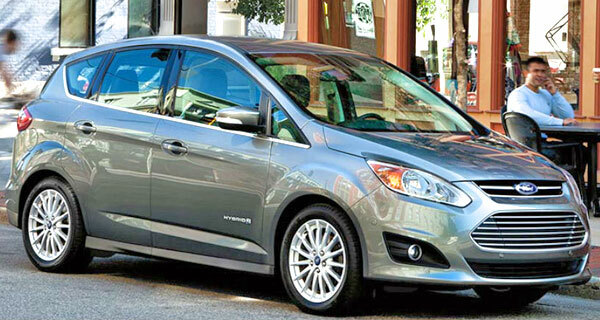 This union achieves up to 188-hp that make the C-Max, the most powerful model in its class (small hybrids). 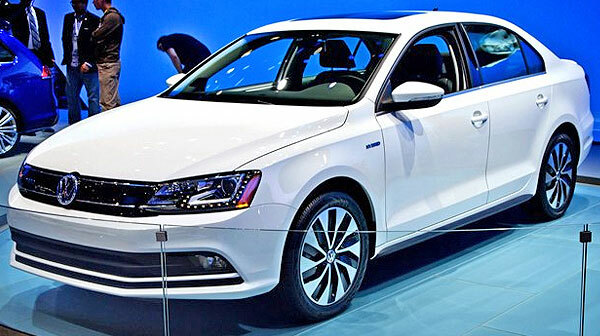 The Jetta is one of the best selling models of the German brand with over 15 million units worldwide. The last renovation came to market more streamlined, a new front grille, headlights with LED technology and new safety features. Its turbocharged 1.4L TSI 4-cylinder engine reaches a maximum power of 150-hp and is combined with an electric one of 20 kW. It is offered with DSG Tiptronic automatic transmission of seven-speed and Sport mode.